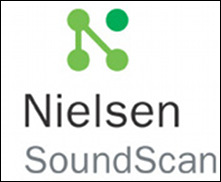 "According to Nielsen, from data provided by managers at Nielsen SoundScan, which collects recorded-music sales information, of the eight million unique digital tracks sold in 2011 (the large majority for $0.99 or $1.29 through the iTunes Store), 94 percent – 7.5 million tracks – sold fewer than one hundred units, and an astonishing 32 percent sold only one copy. Yes, that's right: of all the tracks that sold at least one copy, about a third sold EXACTLY one copy. (One has to wonder how many of those songs were purchased by the artists themselves, just to test the technology, or perhaps by their moms out of a sense of loyalty.) And the trend is the opposite of what Anderson (Chris Anderson, author of 'The Long Tail') predicted: the recorded music tail is getting thinner and thinner over time. Two years earlier, in 2009, 6.4 million unique tracks were sold; of those, 93 percent sold fewer than one hundred copies and 27 percent sold only one copy. Two years earlier still, of the 3.9 million tracks that were sold, 91 percent sold fewer than one hundred units and 24 percent sold only one copy. The trend is clear: as the market for digital tracks grow, the share of titles that sell far too few copies to be lucrative investments is growing as well. More and more tracks sell next to nothing. Equally remarkable is what is happening in the head of industry's demand curve. In 2011, 102 tracks sold more than a million units each, accounting for 15 percent of total sales. That is not a typo: 0.00001 percent of the eight million tracks sold that year generated almost a sixth of all sales. It is hard to overstate the importance of those few blockbusters in the head of the curve. And the trend suggests that hits are gaining in relevance. In 2007, 36 tracks each sold more than a million copies, together these tracks accounted for 7 percent of total market volume. In 2009, 79 tracks reached that milestone; together they make up 12 percent of the sales volume. The same patterns are visible in album sales. …out of a total of 870,000 albums that sold at least one copy in 2011, 13 album titles sold more than a million copies each, together accounting for 19 million copies sold. That's 0.001 percent of all titles accounting for 7 percent of sales. The top 1,000 albums generated about half of all the sales, and the top 10,000 albums around 80 percent of sales. Deep in the tail, 513,000 titles or nearly 60 percent of the assortment, sold fewer than 10 copies each, together making up half a percent of total sales. The numbers certainly do not come close to the trusted '80/20 rule' that many managers live by, which supposes that 80 percent of the sales tend to come from 20 percent of the products on offer. For music albums, it is close to an 80/1 rule – if we can speak about a rule at all. Even if we take a conservative estimate of what would be on offer in a bricks-and-mortar store at any given point in time, Anderson's predictions that long-tail sales will rival those in the head are far off. Of course the goods in the long tail include not just true niche content but former hits as well. Sales of a blockbuster – even one on the scale of Lady Gaga's 'The Fame' or Maroon 5's 'Songs About Jane' – will eventually dwindle. Such products can now live forever online, even if they have long been cleared from the physical shelves. For old hits, then, digital channels may present a real opportunity. But the large majority of products in the tail were not very successful to begin with. Most of them, in fact, never met the bar for a release through traditional distribution channels. Or, in the case of individual music tracks, they are orphans of unbundling activity: now that online consumers can cherry-pick the most popular tracks on an album, the rest shoot quickly into the long tail." "In the recorded-music industry in 2011, more than 8 million unique digital-track titles together sold 1.271 billion copies… For instance, nearly 6 million titles – 74 percent of all unique titles – each sold fewer than 10 copies, accounting for only 1 percent of sales. 5,927,729 titles selling fewer than 10 copies/15,722,000 sold/1%"
"In the recorded music industry in 2011, more than 800,000 unique album titles together sold more than 330 million copies (including both physical and digital copies)… For instance, 513,000 titles – 58% of all unique titles – each sold fewer than 10 copies, accounting for only 0.5 percent of sales. 513,146 titles selling fewer than 10 copies/1,558,000 copies sold/0.5%"